At a small coffee shop in Chandler, Arizona — nearly 3,000 miles from Hawaii — a reserved young woman's face lights up when the topic of the Aloha Festival at Tempe Town Lakes is brought up in conversation. Chandler High junior Brynn Castro is headed to her first ever Aloha Festival, and she couldn’t be more excited. "It is our culture," says Castro. "In Hawaii, we treat everyone like 'Ohana,' which means family." The Aloha Festival is a celebration of Hawaiian and Polynesian culture replete with music, dance, food, arts and crafts, and educational booths where you can even learn to play the ukulele. The festival brings the flavor of the South Pacific to the desert. However, it means so much more to Castro. Castro is from Hauula, Hawaii, located on the north shore of the island of Oahu. She grew up minutes from an iconic shoreline whose rugged coast creates one of the most extreme big wave surf spots in the world. The cool turquoise-blue water of the Pacific Ocean, the scenic white sandy beaches and salt-kissed tropical breeze are a far cry from her new home in the Valley of the Sun. Castro moved to the mainland with her mother and father before her freshman year of high school. Her parents were forced to make the difficult decision to leave their home in order to pursue better employment opportunities outside of the Hawaiian Islands. Entering a new door of possibility means exiting another. Castro had to leave behind her extended family, friends and a culture that defined her as a person. A difficult transition for anyone, but an especially challenging adjustment for a young person entering the trying years of discovery associated with high school. Castro has a friendly smile and a nervous laugh that is equal parts genuine kindness, cultural respect and a defense mechanism to mask her shy demeanor. But her defenses wane, and the joyful curls of her smile begin to diminish when she reflects on what she misses about her home. "The family ... a lot of the people I [hung] out with," says Castro. "The beaches ... I miss the beach." Castro recalls growing up in Hawaii and the strength and comfort she felt when surrounded by family. Family gatherings in Hauula meant great food, friends, and of course backyard volleyball games. "When she was young, she watched all of her older cousins [play volleyball]," said her mother, Nivea Castro. "Volleyball is like a family sport, and she caught on." Nivea Castro may not be timid about the topic of beach volleyball origins, but she is more modest when it comes to her own volleyball accolades. She was a setter and four-year starter for her indoor volleyball team at Kahuku High and Intermediate school in Hawaii. Her daughter takes after her on the court, but more importantly, she is carrying on the legacy of her family and their culture. 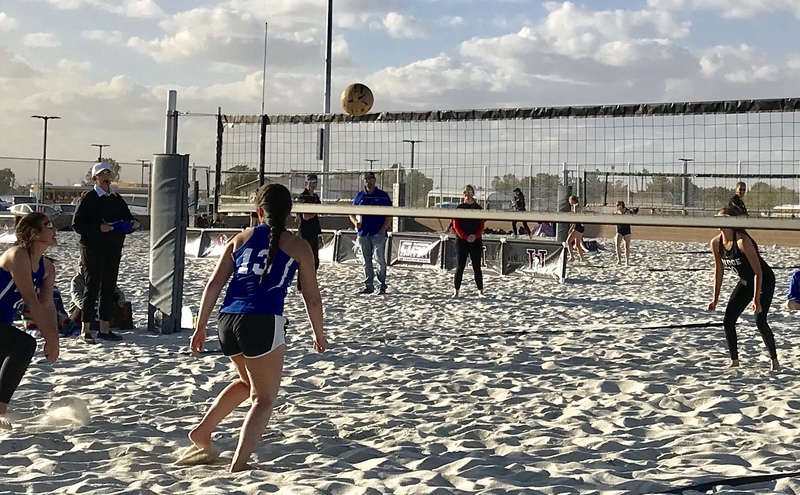 Brynn Castro is a two-sport athlete at Chandler High competing in both indoor and beach volleyball, but her heart draws her to the beach game. "Whenever I hear beach it makes me think of back home," says Brynn Castro. "I feel like it is the closest I can get to being back at home, just being on the sand and playing." 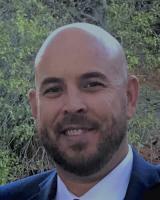 Chandler High beach volleyball head coach Allen Alexander has been around the game for over two decades. He sees the innate ability in Brynn Castro that only comes when you grow up immersed in the sport. "She has a persona about her where she is fighting for every point," said Alexander. "Her court presence is quiet, but you can tell she is giving everything she has got." Chandler may never be mistaken for the striking beauty associated with the North Shore of Oahu, but at Chandler High Brynn Castro has found a home and family. Brynn Castro and her family settled in Arizona last year, after two years in Oregon, when her father found employment in the Valley working for Dickens Quality Demolition — a job he discovered through his cousin Angela Coleman and her husband Darrell. Brynn Castro's extended family was there again when her aunt and uncle, Choy and Wailani Ah Quin, helped facilitate her district exemption to attend Chandler High and look after her as one of their own. She attends school with three of her cousins who all excel in athletics. Javan Ah Quin plays football and baseball, Bubba Ah Quin plays football and wrestles, and Jaudrey Ah Quin is the starting catcher for the varsity softball team and Castro’s best friend. "My parents wanted me to be around a good school that has competition in their sports and better education opportunities," says Brynn Castro. "My family will always have my back, and if I need help, I can contact my auntie or my cousins." “Ohana” is more than just a powerful word or motto for Brynn Castro and her family. It is the essence of who they are and a value that has been passed down from generation to generation.